Earlier today, ​@clorith suggested adding a notification to inform users about the option to change a review. Add_notification_to_own_review.png​ (332.8 KB) - added by TacoVerdo 2 years ago. meta-2199.PNG​ (41.3 KB) - added by SergeyBiryukov 2 years ago. This ticket was mentioned in ​Slack in #forums by tacoverdo. ​View the logs. This ticket was mentioned in ​Slack in #forums by joostdevalk. ​View the logs. 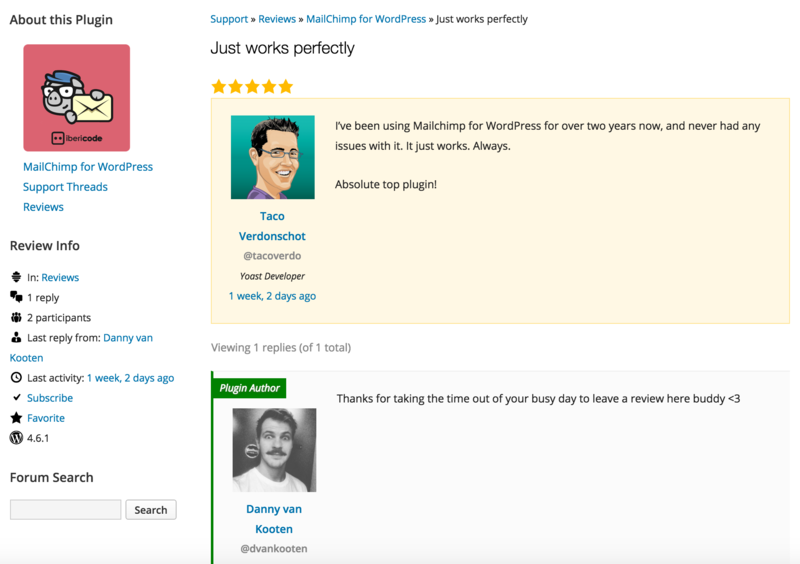 Support Forums: Move the code to check for current user's existing review for the plugin being viewed to a separate method. Use the new method to change "Add your own review" button label to "Edit your own review" if the review already exists. For reference, this is how the suggested notice looks in the new theme: meta-2199.PNG​. Support Forums: Add a notice with an edit link for current user's existing reviews. Support Forums: Use Ratings_Compat::review_exists() to set the text for "Add Review" or "Edit Review" link in plugin/theme sidebar. This ensures the correct link text in case the previous review was archived. Support Forums: Save bbpress()->topic_query object in Ratings_Compat::review_exists() and restore it in Ratings_Compat::add_topic_form(). This should prevent the query for the current user's review from being overwritten by the main query. 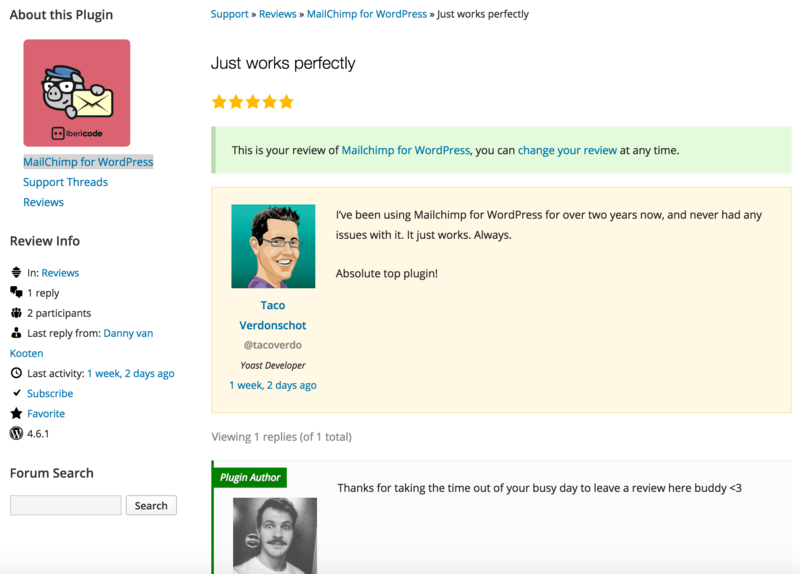 Support Forums: Change "Edit your own review" button label to "Edit your review".